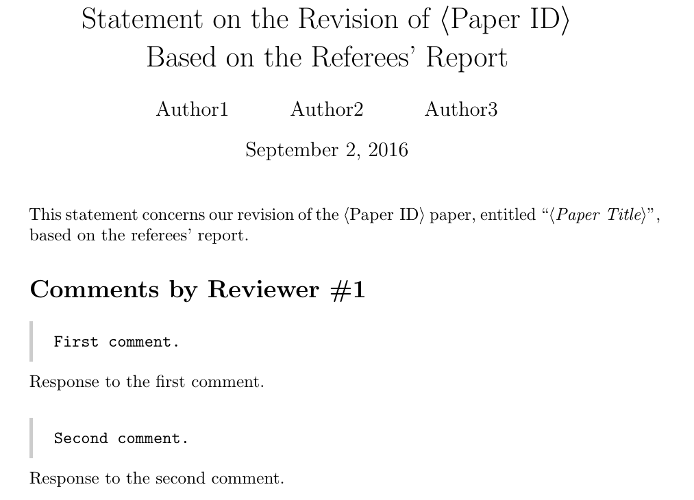 Upon sending a revised version of a submitted paper to a journal, one is generally required to enclose a statement on the revision based on the referees’ report. In this statement, you basically respond to comments from the referees. A friend of mine asked me whether I could publish the LaTeX template I have been using for writing such statements. Well, here you go :). As you can see, the template uses a simple style based on the standard article class. Apart from rudimentary details, such as title information, the template defines a Reviewer command and a response environment. Response to the first comment. Response to the second comment. 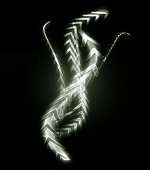 A complete source code of the LaTeX template is available on GitHub. I would like to thank Sean Allred for his excellent improvements of the original version of the template. Thanks a lot for this, I like the simplicity of this solution.